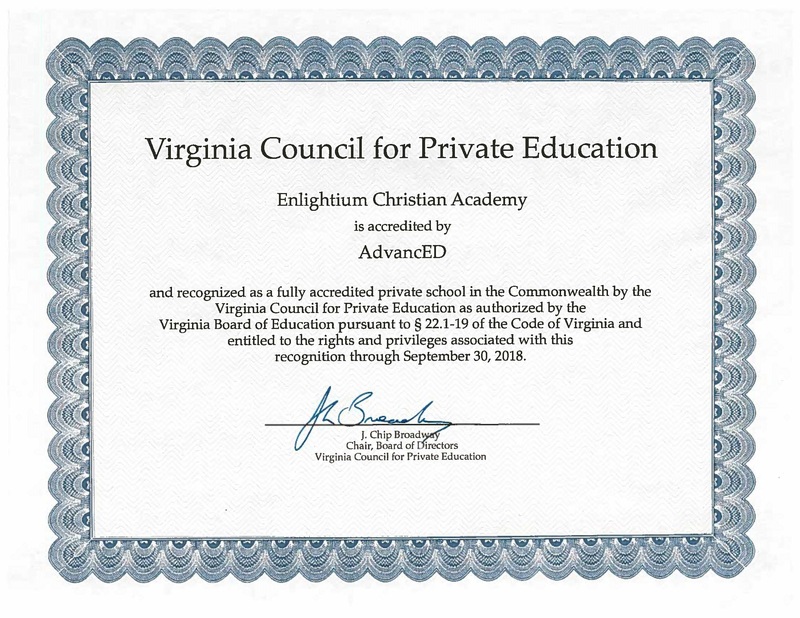 Enlightium Academy (EA) is a private online school accredited by AdvancED and Association of Christian Schools International (ACSI). This accreditation ensures that our students’ transcripts, credits, and courses are recognized by public or private schools, colleges, and universities in the United States and worldwide. EA’s accreditation status validates issued transcripts and diplomas. It also indicates that EA teachers have been certified to teach in an online school setting. AdvancEd is a conglomerate of regional accrediting organizations. You can find a partial list of colleges EA students have been accepted at on the College Acceptance page. Please note that each college has its own admissions requirements, so please check with the college or university of your choice to investigate any special requirements that they may have for students seeking an online high school diploma.